As an Origins fan I was hesitant to switch my face products. I loved what I was using. It worked great. And I had spent a lot of money on it. But if I’m going to do the organic thing I might as well do it right and go all in! 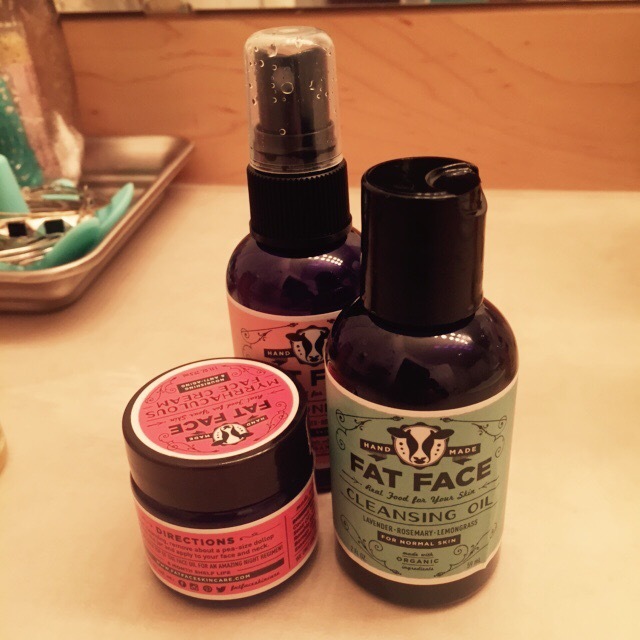 I kept seeing FAT FACE on all the Instagram feeds in the Paleo/Whole30 company. So this is the first products I tried. Pictured here is the oil cleanser, toner and moisturizer. My face is VERY happy. It is nourished, blemish free and my makeup goes on flawlessly. Now I know why there was so much hype about this company. They rock! Natural, organic line that actually works and works better than the department store products.